RHM is a mid-sized reseller, large enough to be a credible partner but small enough to be agile and responsive. 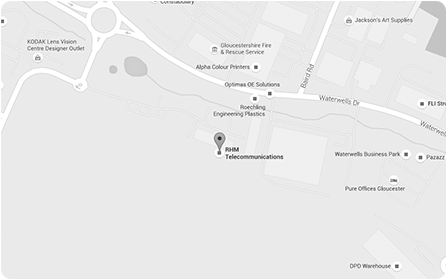 The company was founded in 1992 by two Gloucester based entrepreneurs who saw an opportunity in the newly liberalised telecoms market. They are still the majority shareholders today. Roger Head, Chairman of RHM was awarded an OBE in the 2016 New Year’s Honours list and has been recognised for his charity work as Chairman of Gloucestershire’s Children’s Charity, Pied Piper. During 2015-16 Roger held the position of High Sheriff of Gloucestershire. In an industry that’s seen much consolidation and Venture Capital backed growth, RHM remains privately owned with no borrowings. We answer only to our customers, many of whom have been with us since the 1990’s. The current executive board has been in place since 2004. Technology advancement has been rapid over the last decade and we aim to help our customers embrace new technology and reap the benefits this can bring to their business. Customer service is at the heart of everything we do. Our helpdesk is the hub of the business and gives clients a single point of contact across all our products and services. For those needing out of hours’ support, the helpdesk is manned 24/7, by our own staff. RHM has been privately owned since its inception in 1992. In an industry that has seen many large resellers grow through venture capital backed acquisitions RHM offers its customers stability and continuity. We believe in building partnerships with our customers. Many clients may start working with RHM on a single product area and over time expand that across our portfolio. RHM has developed a single helpdesk that supports clients during implementation and post installation. The helpdesk works across the entire portfolio offering our customers a single point of contact. Our staff also provide out of hours support, ensuring complete continuity of service. If an issue is not resolved, then RHM offers a streamlined two step escalation from Helpdesk to our Operations Director, Pamela Henry and Managing Director, Nick Thomas.